“Kesar” is the queen of mangoes, widely grown in the Gujarat state of India. It has a unique golden saffron glow, a rich smooth pulp and sweet intense flavor that tease your taste buds. It is mainly characterized by its unique gold color with green overtones. The fruit weighs approximately 200-300 grams. 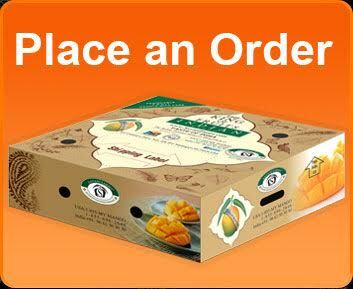 “Alphonso” is also among the finest of Indian mangoes. It is the reigning king among Indian fruits. 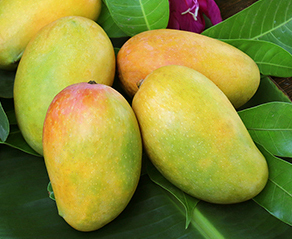 The Alphonso mango is found along the verdant shore of the Konkan region in Maharashtra, India. The fruit weighs approximately 250-300 grams. Alphonso is bright yellow with a pink blush on the sun exposed shoulder. A ripened Alphonso spreads a wonderful sweet and fruity aroma tantalizing to anyone's palette. It has a flavor that is intensely sweet, rich and full, with multiple aromatic overtones and a hint of citrus. Nearly 41% of the mangoes produced in the world come from India and none taste like the Kesar or Alphonso. The sweetness and flavor of Kesar and Alphonso go way beyond the word “delicious” and a slice of this fruit, as many will describe, “A Slice of Paradise”, is truly a “Slice of Heaven on the Earth”. No other fruit compares with the Indian Mango - It is truly the King of Fruits. It has long been the dream of Savani Farms to make efforts towards improving the socio-economic standards of the underprivileged farmers in India. Mango trade in India is heavily controlled by contractors and middlemen. 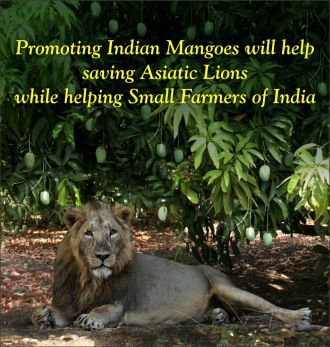 The small farmers that depend on them for the sale of their mangoes end up receiving a very small portion of the profit. They are forced to live on this income until the next harvest. It is this distraught, socio-economic standard of the Indian farmers that led Savani Farms to take initiatives in trying to eradicate their poverty and help them get a fair price for their produce. Farm-to Fork aims at eliminating the middleman completely from the mango supply chain and bring the produce directly from farmers to consumers. It aims at helping farmers get a fair price for their hard work and thus help them sustain themselves and their families and live a better quality life. Savani farms is a non-profit organization. 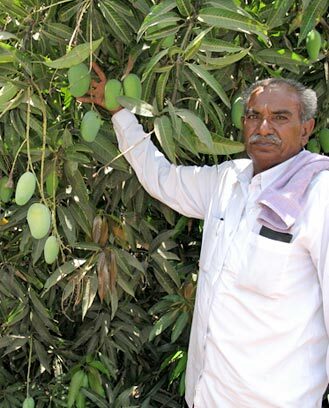 Whatever income is generated through mango trade, is given back to the community. In the past, Savani farms has built schools, health clinics, sponsored education, and contributed towards developing villages and improving their infrastructure. We hope to continue the same in the future.